Safe Haven Security, the second largest ADT Authorized Dealer in the US, has been providing custom home security systems for nearly a decade. Although customers have always been enthusiastic about Safe Haven’s services in-person and on the phone, the majority had never reviewed Safe Haven online. 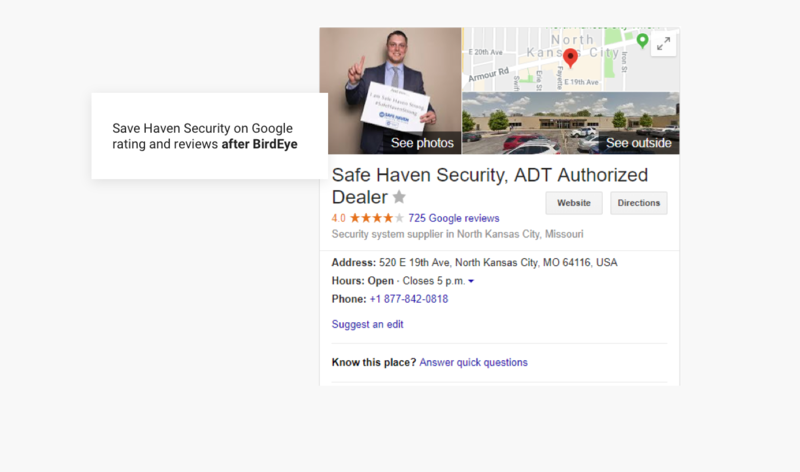 As online reviews became more important to consumers’ purchase decisions, Safe Haven’s loyal customers were beginning to grow doubtful that Safe Haven was the best option out there. “We had customers who did research on us and say ‘Oh, this company has bad reviews, and all these others have better reviews. Why don’t we just go to a company with better reviews?’,” said Dustin Kleeman, Public Relations for Safe Haven. To keep existing customers and attract new ones, Kleeman needed a way to understand how Safe Haven Security was actually performing and where improvements needed to be made. He knew these insights lay within the customer feedback that Safe Haven so desperately lacked, so he began searching for a reputation management platform. Kleeman needed to take control quickly using a reliably effective software, because for Safe Haven Security, losing even one customer is a big blow. 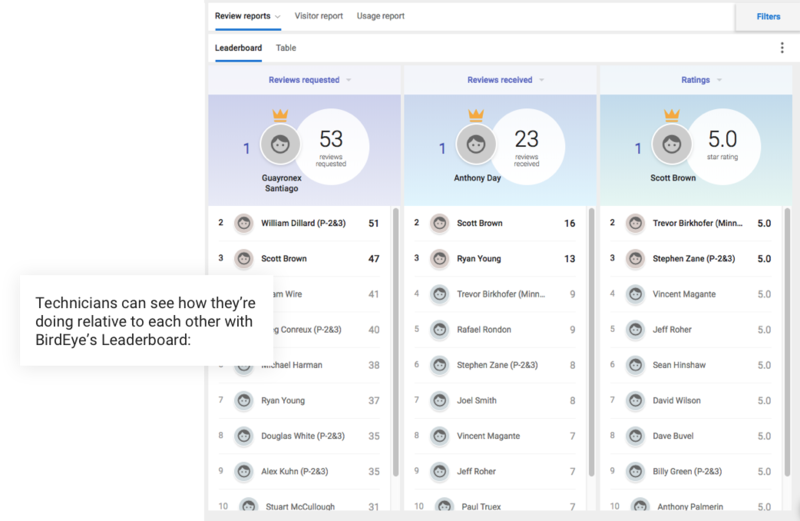 Kleeman sought a platform that would help him not only get new reviews but also meticulously evaluate performance from multiple angles such as by employee or by custom time period. No platforms besides BirdEye would allow them to conduct retroactive data analysis by employee, and over specific time periods. They also chose BirdEye for the company’s extensive background knowledge on the reputation industry in general and ability to work with his specific use case. Upon implementing BirdEye, Kleeman established a contest amongst his employees: whoever gets the most reviews each month wins a $500 Best Buy gift card. Employees send a review request during the installation process, after the sale has already taken place. 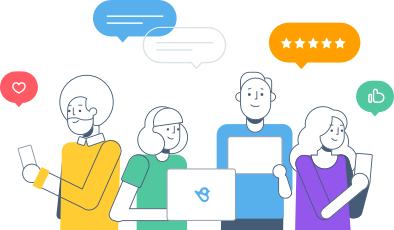 Whenever a customer follows through on a request and posts a review, BirdEye automatically tags that employee’s name to the review in the BirdEye platform. This lets Kleeman track precisely how each technician is performing. To keep the momentum going, each Thursday, Kleeman pulls a report and sends it to everyone on the list so they can see how everyone is doing relative to one another. This healthy competition encourages technicians to keep sending requests after every installation. Since more requests equals more reviews, the team’s combined conversion rate from request to review is a whopping 40%. Generating new reviews is only the first step in a constructive feedback loop. 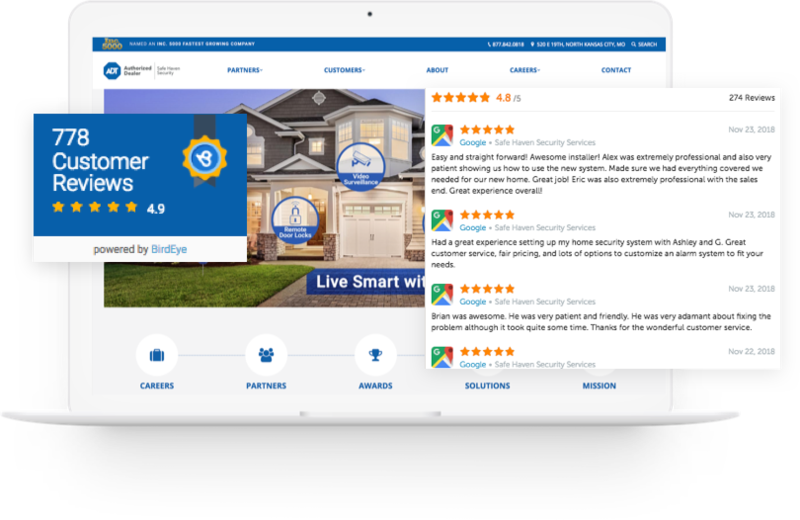 To stay engaged with customers, Kleeman gets alerted for every new review and responds to each one. 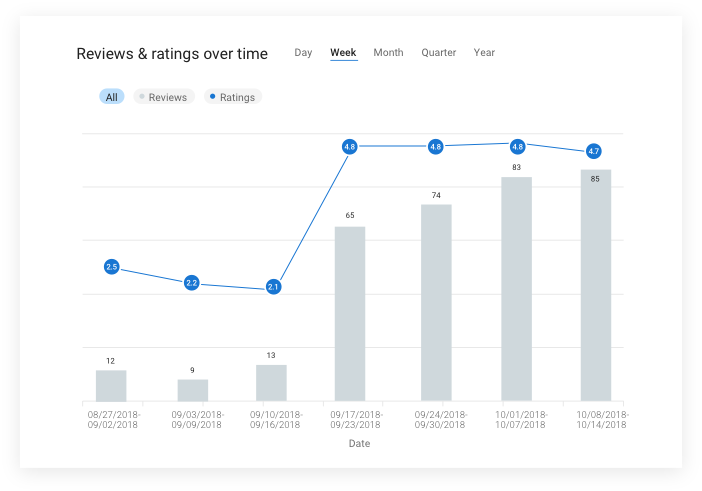 Since most reviews are positive, he saves time by using BirdEye’s handy review response templates. Kleeman has a dedicated process for managing negative reviews. Rather than using a template, Kleeman writes a personalized response to each negative review, providing his email and asking them to reach out for further assistance. If they don’t email him within a few days, he gives them a call if he can find them in his database. In many cases, this persistent follow-through results in the customer updating or removing their negative review because their experience improved. 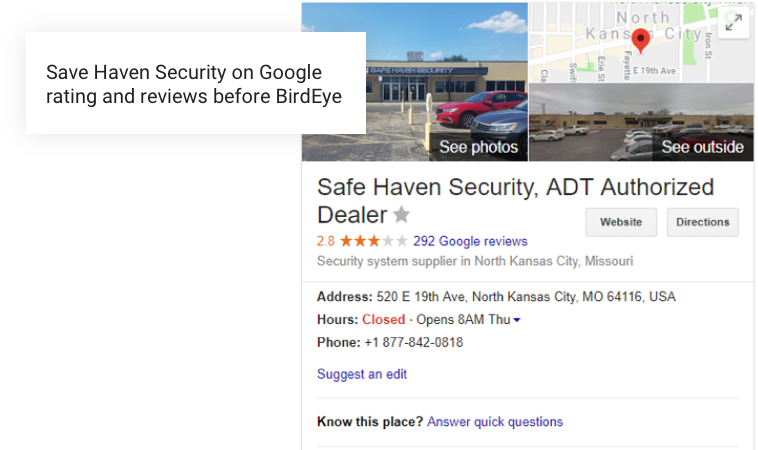 In just the first 5 weeks with BirdEye, Safe Haven doubled its Google review volume, and tripled its BBB review volume. With such a strong employee motivation program in place, it’s no surprise that as review volume has increased, so have Safe Haven’s overall ratings. Thanks to the great reputation they’ve built with online reviews, Safe Haven has been able to recruit top talent, continuing the cycle of outstanding service and happy customers. Now, it’s clear to existing and prospective customers that when it comes to home security, Safe Haven is the most trusted choice.